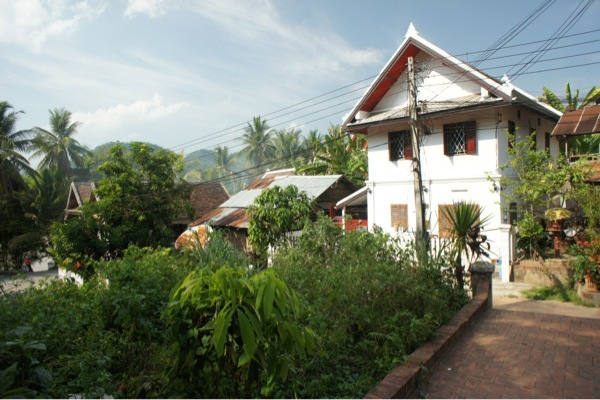 Luang Prabang or wishing I was Catherine Deneuve in Indochine. This place is decidedly magical. 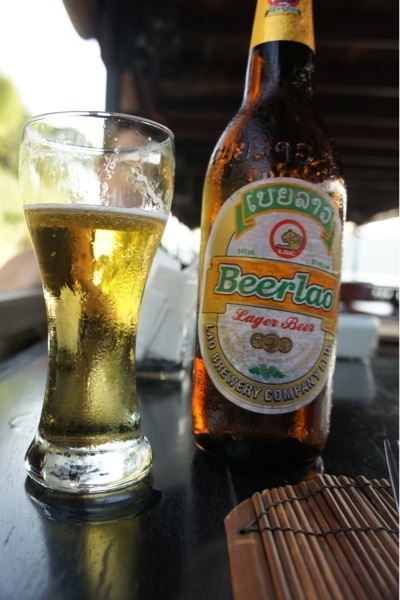 We left PP and flew to Luang Prabang which is the old royal capital of Laos as well as the old French capital. 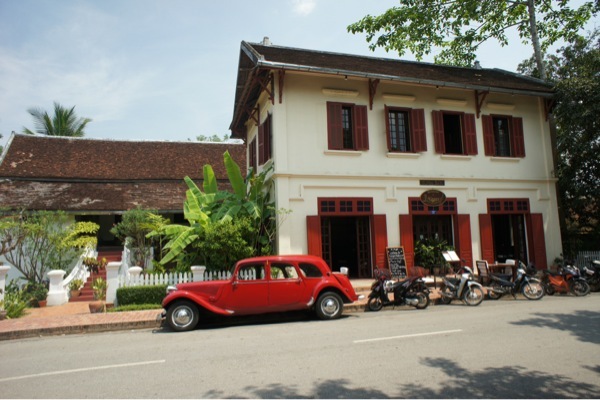 The French weren't in Laos long, only from the 1890s to when they exited Indochine in 1953. Laos was also the least important part of their SE Asian empire, I read somewhere that by the end of their rule, there were maybe 600 French people living in Laos - not a lot considering the size of the country. Luang Prabang is so magical that I'm not even going to go all geeky on geopolitics, only to tell you that it's a communist state a la Vietnam, China, Cuba and NKPDR. Done. Now on to the lovely left over colonial charm of this place. 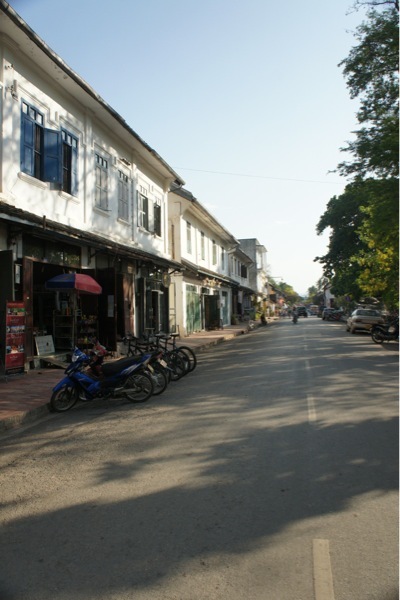 UNESCO and the Laotian government did something amazing in the mid 90s when they made the town a UNESCO World Heritage Site. They have therefore managed to preserve the charm of this place from the ravages of quick and ugly development you see almost everywhere else. It's still Asia, but I like to think its a bit more Asia-lite and I don't care if it makes me a travel wimp because after 10 days in Cambodia, it sure feels nice. 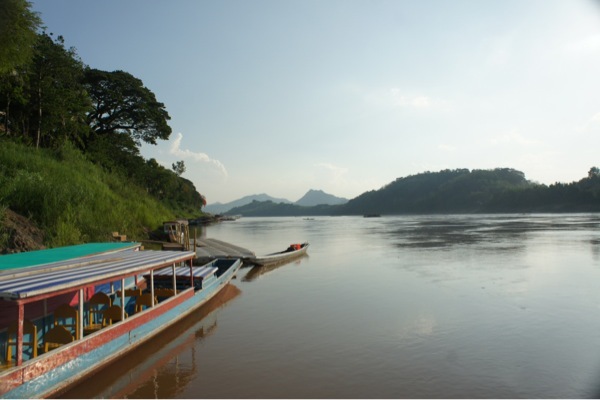 The town sits right at the confluence of the Mekong and a trip tributary called the Khan, on a bluff overlooking both rivers. For those who have been to Harper's Ferry, its kind of like. Obviously the comparison is only geological, this place is not revolutionary America. Today we woke up to see the monks doing their morning ritual of alms collection at 6 am, then we had a lovely breakfast and found ourselves a van to the waterfall outside of town. It was as spectacular as the guide book said. Cold clear mountain water streaming into limestone pools where we could go swimming. Magical. We ended the day with an evening cruise on the Mekong. It is as beautiful as it sounds.